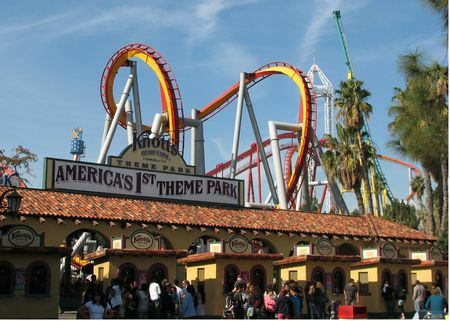 Silver Bullet is a roller coaster in Ghost Town at Knott's Berry Farm. While it's not the best, it is also recommended. The minimum height to ride is 54 inches. A 146ft tall B&M inverted coaster with six inversions.